The parents of Charles were Amanda Mary Oakley, b. October 18, 1831 in Waterdown, Ontario, who married John A. Foreman, Jr. in the town of Oakville, Trafalgar Township on April 29, 1847. They bought land in the Kansas Territory but with the American Civil War imminent, they brought their young family to Oakville in 1861 for safekeeping. 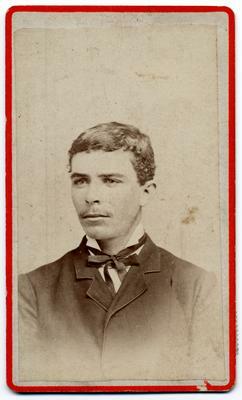 Major John A. Foreman Jr. was pensioned for serious wounds received during the war. By 1865, the family was back in Kansas. Amanda and John divorced in 1866 and Amanda died on October 10, 1869. Charles E. Forman, b. March 23, 1862 in Trafalgar Township. Amanda Mary Oakley, b. October 18, 1831 d. October 10, 1869. John A. Foreman, Jr.